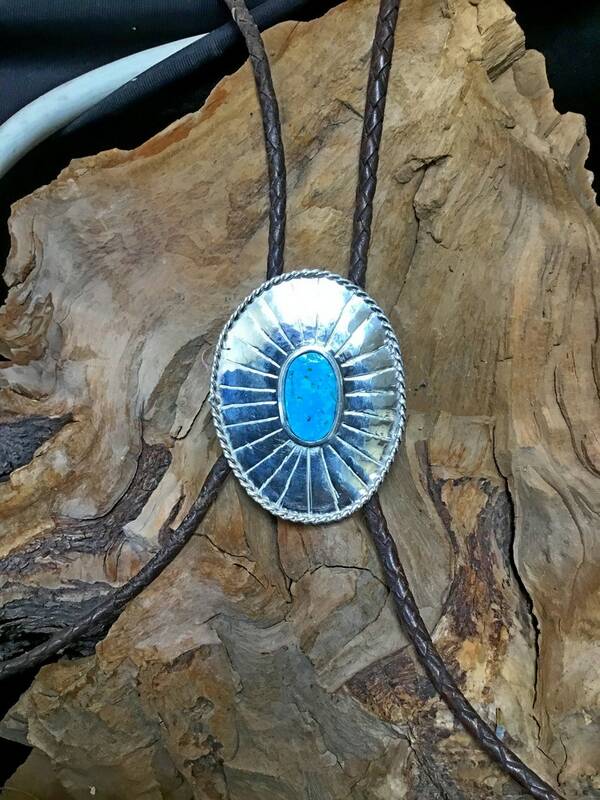 This Bolo Tie is made in sterling silver with Kingman AZ turquoise. It measures 2.25 by 1.75 inches. I can make this style with other stones. I have a matching belt buckle RF865.